It is probably no exaggeration to say that among Christians, the Book of Leviticus is one of the most neglected books in the Bible. It is certainly one of the least understood. How many Christians have purposed to read through the entire Bible and made it through Genesis and Exodus only to get bogged down in this seemingly obscure collection of ceremonial laws and rituals? What are we to make of this book? How are these ancient laws about animal sacrifices, and priests, and ceremonial uncleanness relevant to Christians in the 21st century? 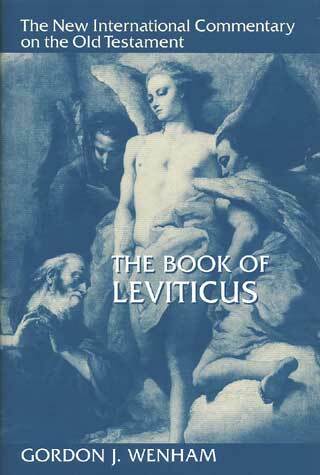 For those who have struggled with understanding Leviticus, there is no better resource than Gordon J. Wenham’s commentary. Published in 1979 as part of the New International Commentary on the Old Testament series, this commentary has established itself as something of a classic. It is simply one of the best commentaries written on any book of the Bible. The first part of the commentary is devoted to basic introductory matters. Wenham examines the title of the book, its narrative structure, its sources, its authorship and date, as well as the Hebrew text underlying his translation. Two particularly helpful sections of the Introduction are those entitled “The Theology of Leviticus” and “Leviticus and the Christian.” Wenham discusses the theology of Leviticus under four main headings: the presence of God, holiness, the role of sacrifice, and the Sinai Covenant. Everything that is not holy is common. Common things divide into two groups, the clean and the unclean. Clean things become holy, when they are sanctified. But unclean objects cannot be sanctified. Clean things can be made unclean, if they are polluted. Finally, holy items may be defiled and become common, even polluted, and therefore unclean… . cleanness is a state intermediate between holiness and uncleanness. Cleanness is the normal condition of most things and persons. Sanctification can elevate the clean into the holy, while pollution degrades the clean into the unclean. The unclean and the holy are two states which must never come in contact with each other (pp. 19-20). Wenham continues in the section “The Role of Sacrifice” to explain how, in Leviticus, sacrificial blood is necessary for cleansing and sanctifying. As he explains, “Sin and disease lead to profanation of the holy and pollution of the clean. Sacrifice can reverse this process” (p. 26). In the previous section, Wenham had observed that the holy and the unclean can never come in contact. Here, he observes, “Sacrifice, by cleansing the unclean, makes such contact possible. The holy God can meet with sinful man” (p. 26). Under the heading “The Sinai Covenant,” Wenham notes the way in which covenantal idea are found throughout Leviticus. “Leviticus explains how covenantal worship should be conducted” (p. 29). It also explains how covenant people should live (p. 29). Chapter 26 of Leviticus even contains a list of blessings and curses showing that it is a covenant document. In one sense then the whole ceremonial law in Leviticus is obsolete for the Christian. We are interested in the sacrifice of Christ, not in animal sacrifice. But in another sense the Levitical rituals are still of immense relevance. It was in terms of these sacrifices that Jesus himself and the early church understood his atoning death. Leviticus provided the theological models for their understanding. If we wish to walk in our Lord’s steps and think his thoughts after him, we must attempt to understand the sacrificial system of Leviticus (p. 37). In dealing with the laws on sacrifice, Wenham discusses each of the major sacrifices in detail, explains its nature and purpose, its place in the Old Testament, and its relation to the New Testament. Wenham points out how the sacrifices in Leviticus remind Christians today of Christ’s atoning death, of the serious consequences of sin, and of the forgiveness that is necessary for true worship to occur. He also observes that the pattern of Old Testament sacrifices can provide a pattern for Christian worship today. “Worship should begin with confession of sin, a claiming of Christ’s forgiveness, and a total rededication to God’s service, before going on to praise and petition” (p. 66). The second section of the commentary proper covers the institution of the priesthood in Leviticus 8:1-10:20. These chapters cover the ordination of Aaron and his sons, Aaron’s first sacrifices, and the judgment of Nadam and Abihu for offering strange fire. Central to these chapters is the idea that “God’s greatness and holiness cannot be ignored; he must be acknowledged by our whole being” (p. 150). Chapters 11-16 of Leviticus deal with uncleanness and its treatment. Chapters 11-15 deal with clean and unclean animals, childbirth, disease, and discharges and how they are to be cleansed. According to Wenham, the distinction between clean and unclean (and sacrificial) animals is largely symbolic paralleling the divisions among mankind: the unclean (those outside the camp); the clean (the majority of ordinary Israelites); and the sacrificial (the priests who are specifically set apart). Regarding childbirth, Wenham believes that it was not the childbirth itself that made a woman unclean, it was the discharge of blood accompanying childbirth (cf. 12:4, 5, 7). Disease, on the other hand, causes uncleanness because it “destroys the wholeness that ought to characterize the creation” (p. 192). Chapter 16 of Leviticus explains the important Day of Atonement ceremony. As Wenham explains, “The aim of these rituals is to make possible God’s continued presence among his people” (p. 228). As Hebrews teaches, Jesus Christ ultimately fulfilled the purpose of this ritual through His death on the cross. The final section of Leviticus covers basic prescriptions for practical holiness. Among the many issues discussed in these chapters are: sacrifice and food, sexual behavior, neighborliness, capital crimes, rules for priests, festivals, rules for the tabernacle, the Sabbath years, and the Year of Jubilee. Wenham offers numerous helpful insights into what Leviticus teaches about all of these issues. The strengths of Wenham’s commentary are many. Many modern commentaries spend an inordinate amount of time examining every obscure detail about the origins of particular words and the various theories concerning the sources of the text. While this information does have its place, many of these commentaries never actually get around to fully explaining what the actual text itself means. Wenham, on the other hand, focuses on expounding the meaning of the canonical text. He does so with clarity and with an engaging style. He also writes as a Christian interpreter and thus explains not only what the text meant in its Old Testament context, but also what its relevance is for the Christian today. Such Old Testament commentaries are a rarity. Wenham’s commentary is an outstanding resource and is highly recommended for pastors and all students of Scripture.